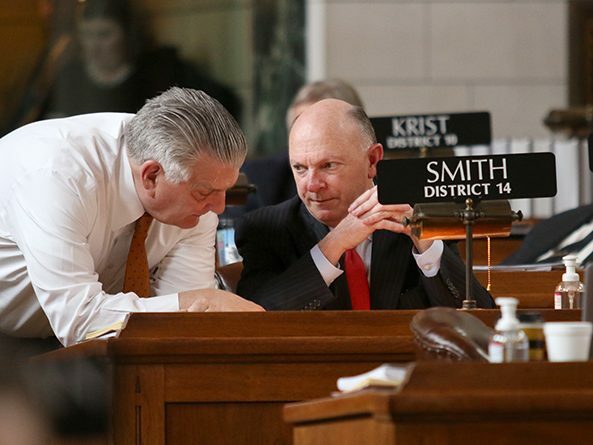 Sen. Jim Smith of Papillion announced his resignation from the Nebraska Legislature July 9, effective immediately. 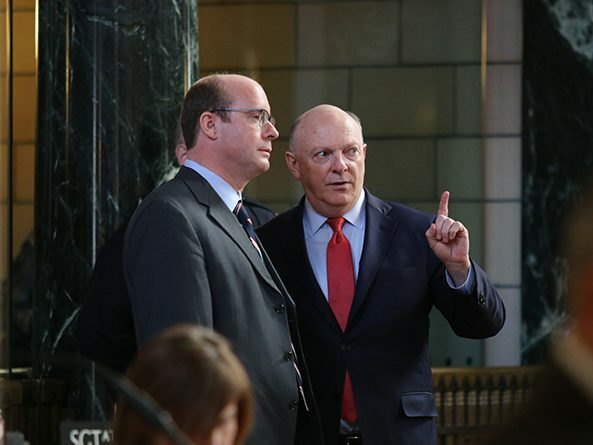 Senators passed a bill April 11 intended to prevent a tax increase on Nebraskans as a result of recent changes to federal tax law. 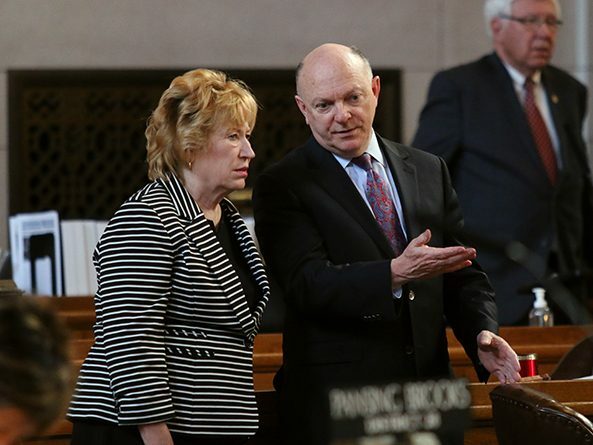 Lawmakers debated a proposal April 3 to provide income tax credits that partially offset the amount that Nebraskans pay in property taxes. 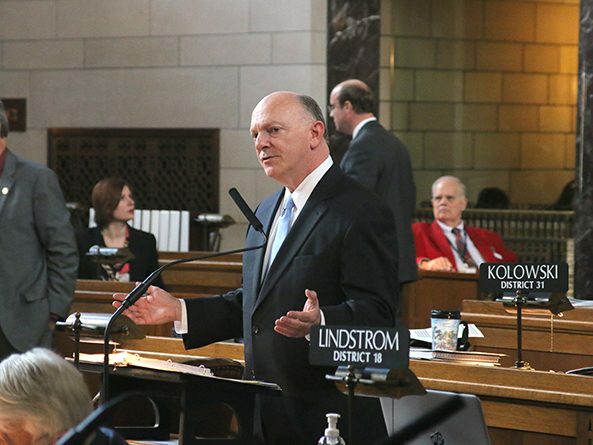 Lawmakers debated a bill March 23 that would create an income tax credit for those who donate money to nonprofits that grant scholarships to students to attend a private elementary or secondary school. 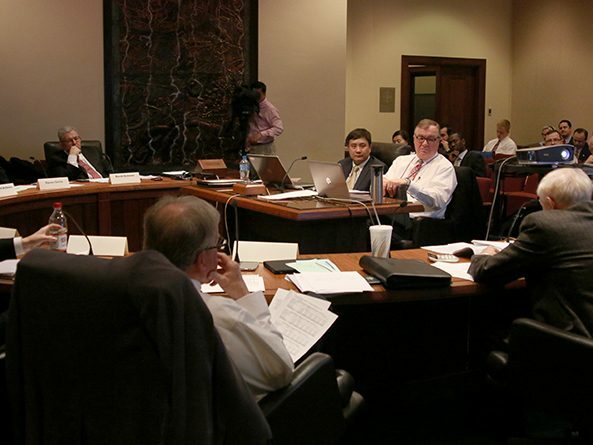 The Nebraska Economic Forecasting Advisory Board voted to increase revenue projections during a Feb. 28 meeting at the Capitol. The board provides an advisory forecast of general fund receipts used by the Legislature to craft the state’s budget. 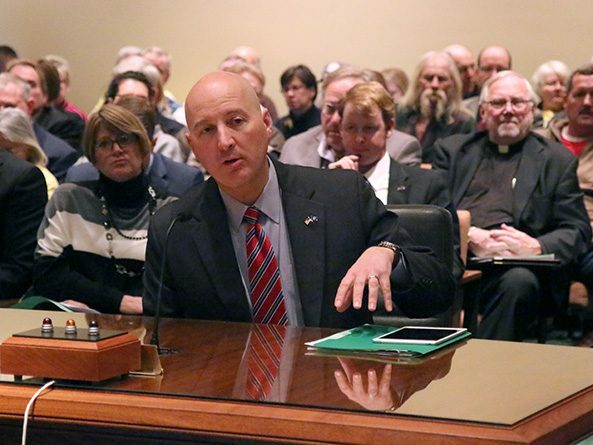 The Revenue Committee heard testimony Jan. 31 on a proposal to cut the state’s top individual and corporate income tax rates and to provide credits on property taxes paid. 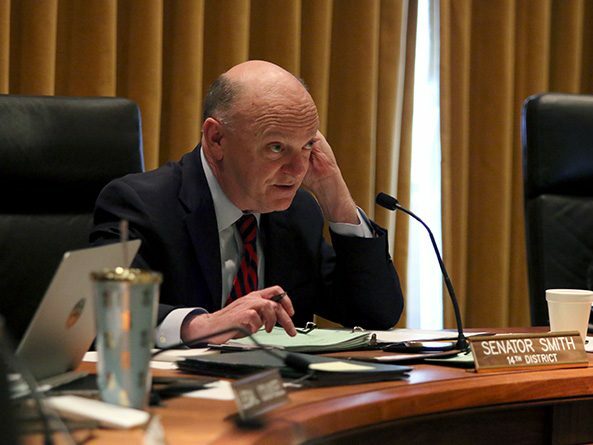 A bill that would cut the state’s top income and corporate tax rates if projected state revenue growth meets certain targets and change the way agricultural land is assessed stalled on general file May 2. 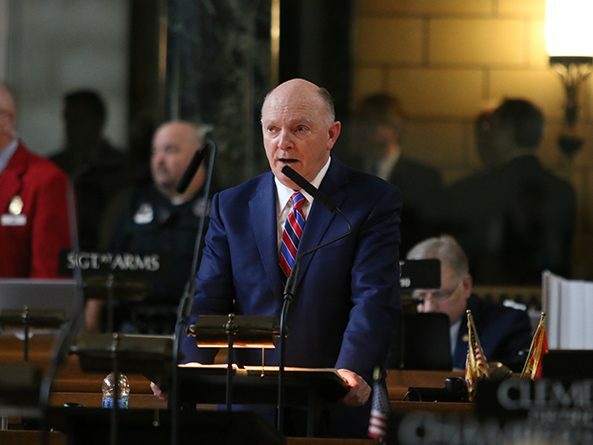 The Legislature debated a bill April 21 that would change the way agricultural land is assessed and cut the state’s top income and corporate tax rates if projected state revenue growth meets certain targets. 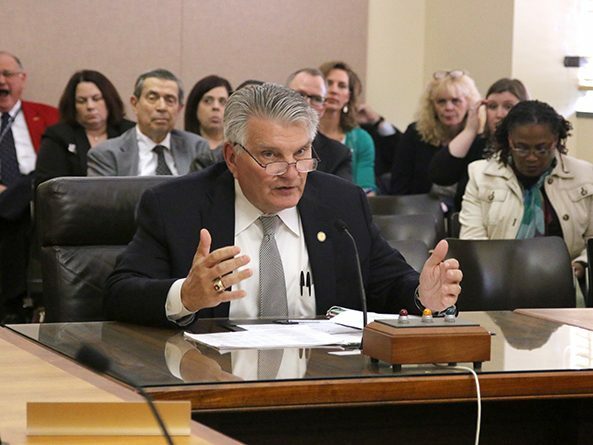 The Revenue Committee held a special hearing March 28 on an amendment to a bill that is intended to help the state make up its current budget shortfall. 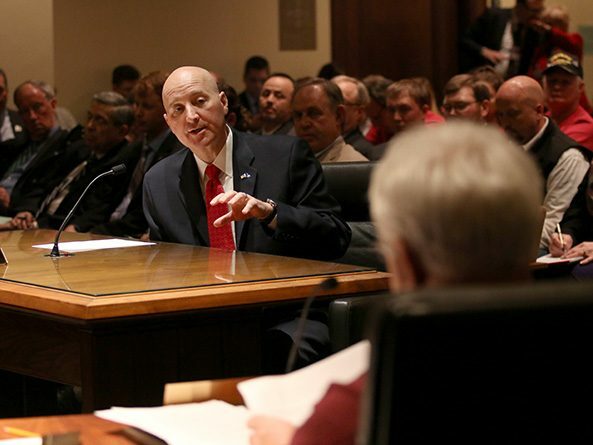 A bill heard by the Revenue Committee Feb. 8 would incrementally reduce the state’s top income tax rate over the next decade if economic growth meets a benchmark rate.